Come and stay in our Historic Stables. Located at the back of Talisman Nursery in a tranquil setting amongst mature trees. Built, in the early 1920's with locally made bricks. 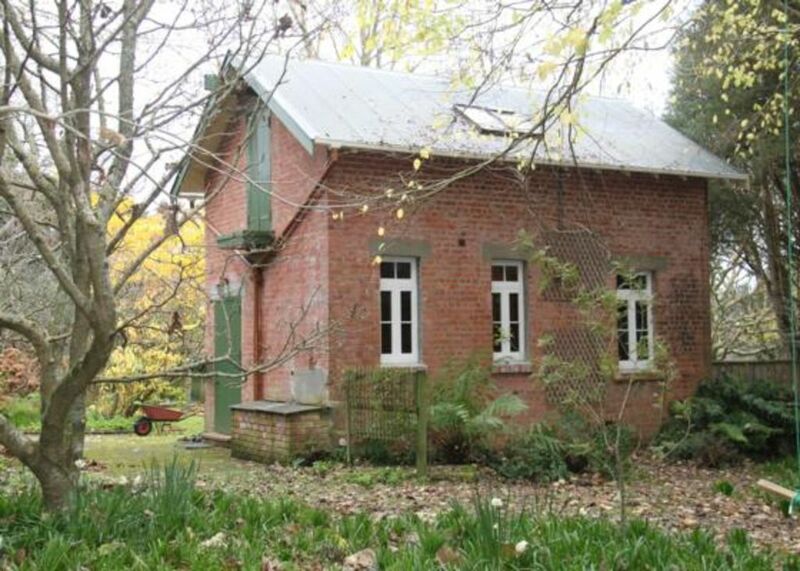 It was used to house draught horses and equipment, as part of the Mangahao – Haywards power reticulation scheme. The Stables were converted into a beautiful cottage during the late 1980’s with the renovation work being done by a conservation architect. The Stables sleep up to 3 adults, but is ideal as a nice cosy retreat for a couple. Spend a weekend relaxing and re-energising in our self catering Stables. Enjoy walks in the nearby Otaki Forks, or along the beautiful Kapiti Beaches. Other local attractions include; Otaki’s many outlet stores, local restaurants and cafes, the Otaki Maori Racecourse and Otaki Golf Club. Alternatively combine a relaxing stay with garden planning. Bring your garden plans and ideas and receive a free consultation with Stephen. View our mature native plants in our arboretum and our wide selection of plants for sale. See our website for a plant list. - $30 surcharge for single night stays. - There is no TV reception at the Stables. A DVD player and some DVDs are provided. - Phone coverage usually 2-3 bars for most providers. - If you do not get a reply to your booking request within 2 days please either re-request the dates or contact us through the Talisman Nursery website. Extras: Linen - sheets, towels and tea towels (included); Firewood provided Easter - Labour Weekend (included); NOTE: Under Kiwi bach tradition you are expected to: Leave the house tidy and do the dishes before you leave. Lovely spot. Warm and comfortable. Thank you. Self contained cottage just perfect for a good rest, plenty of reading and rural walks. Otaki is only a couple of minutes away by car, the beach five minutes further. Lovely stay in a unique property full of character. In quiet spot just outside town. Very accommodating host who made things very easy for us! Wish we could have stayed longer. So much character to the house and had plenty of room for us to stay in.